Poster Calendar of 1900, published by W H Smith & Son Printers, advertising Johnson Johnson & Co's Pure Tea In Packets. 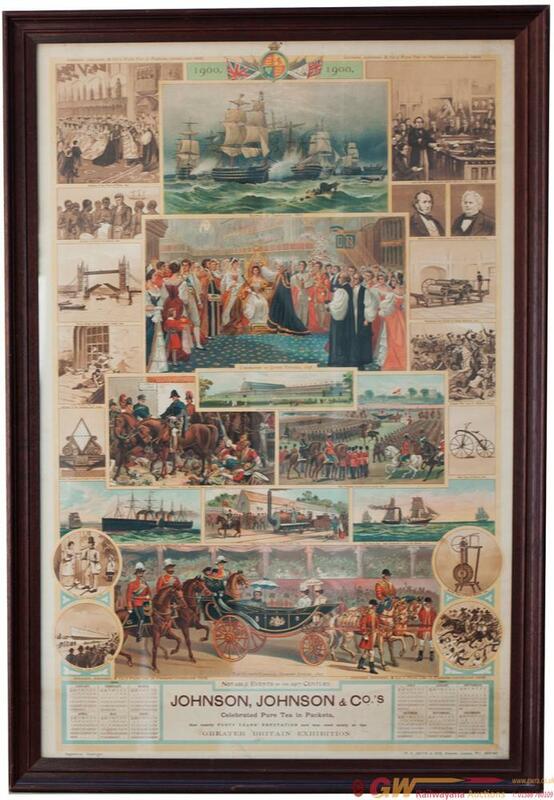 It shows notable events of the 19th century including Battle of Trafalgar, Coronation of Queen Victoria, first railway Stockton and Darlington. In original oak frame measuring 31in x 21in.